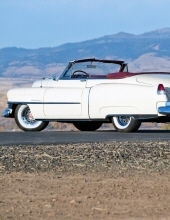 In his spare time he enjoyed classic cars especially the 1952 Cadillacs, classic movies, Motown music, and Marilyn Monroe. He was naturally gifted in music and art. He could pick up any instrument and be able to play it. He used to make up little jingles that he would sing. He was an avid cartoonist and would draw cartoons for the local movie theater for the films they were playing. He loved entertaining. He was avid story teller and would always put a little twist on whatever story he was reading or telling. He loved spending time with his family and would do anything he could to help a lending hand when needed. To send flowers or a remembrance gift to the family of Jackie Twitchell, please visit our Tribute Store. "Email Address" would like to share the life celebration of Jackie Twitchell. Click on the "link" to go to share a favorite memory or leave a condolence message for the family.